Third quarter of 2017 is now over so it's time to make a summary of what our team has accomplished. Notice that we've improved our Terms of Service, please have a moment to read them. Notice that it refers to Before you post a question to helpdesk article - this is what you'll need to get familiar with prior to sending a question to our team. Another general improvement: WMSPanel now supports two-factor authentication which can be enabled per-user. A few words about the money: FastSpring, our payment gateway, now accepts UnionPay. So it's yet another way to pay for our products. As always, take a moment to read our State of Streaming Protocols to see how the streaming landscape technologies are currently used among our customers. Spoiler: DASH keeps rising, HLS goes a bit down, SLDP gains momentum. Now let's check new features. Our team continuously improves SLDP low-latency streaming technology. Make quick start for live stream using offset parameter in SLDP player. Use SLDP player latency tolerance against glitches. Add splash screen image for your SLDP player. SLDP HTML5 web player now supports VP8 and VP9 codecs for playback in Chrome, Firefox and Opera. 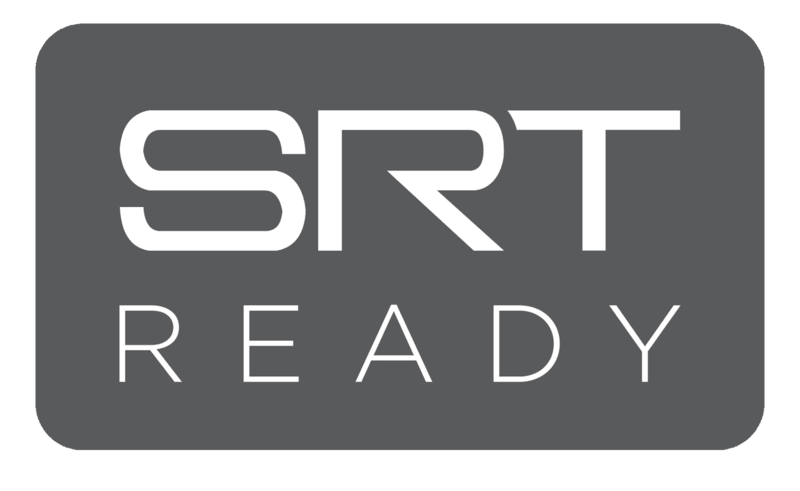 SRT streaming technology, originally created by Haivision and opened to open-source community, is now available in Nimble Streamer. It's a protocol which adds reliability to UDP transmission with error correction, encryption and other features which make it a great method to deliver live content across unreliable networks. Softvelum was also among first participants of SRT Alliance to take part in improving the protocol. Speaking of new protocols, UDT streaming protocol is now available in Nimble Streamer. Read this article for setup details. Live Transcoder has been updated: VP8 and VP9 decoding and encoding are now supported. Read this article for more details about setup and usage. VP8 was also added to VA API implementation in our transcoder to give more flexibility. Wildcard adaptive bitrate was added in addition to pre-defined ABR settings. SSL protocols can now be specified in Nimble Streamer configuration for HLS, MPEG-DASH, MPEG-TS and Icecast outgoing streams. Periscope live stream publication was added in Nimble Streamer and its control UI. We've created short description of how to add text on top of the stream using our transcoder. This includes SLDP Player apps for iOS and Android, as well as respective SDKs for adding playback capabilities into your own apps. Currently SLDP and RTMP protocols are supported. Free apps are available in Google Play and AppStore. Mobile streaming products were updated with multiple improvements on Android, iOS and Windows Phone. This includes Larix Broadcaster and Larix Screencaster apps as wells as respective SDKs. You can check the history of our mobile releases for all details of recent SDK releases.